Spring is in the air! Yippee! In the northern part of the United States and Canada as we transition from winter into spring we start thinking about riding again. Here are some spring horseback riding tips to safely get back out on the trail especially if you haven’t been riding much during the winter months. Springtime is vaccination time. Get a hold of your vet and get all recommended vaccinations for your area. Some horses may feel a bit off for a few days after their shots so it’s best to postpone riding for a couple of days. Call your farrier and have him check out your horse or mule’s hooves. Make sure all the hooves are trimmed to the proper angles and ready to go. If your horse or mule hasn’t shed out his winter coat keep in mind that they will heat up faster when working and they will need a longer cool down period after the ride. Walk the last mile in. You don’t want to turn him out with a wet coat because temperatures can still drop over night. Use a shedding blade to speed up the shedding process if the weather is consistently warm. Use a blanket at night if necessary. As you get back into your riding routine you might consider body clipping if your horse or mule is not shedding out fast enough. If you are able to turn your horse out onto pasture make sure to introduce them to fresh grass slowly. If they have been eating only hay all winter. too much green grass too fast can cause colic and founder. Start with only about a half hour a day and then slowly increase grazing time. Check over all of your tack before you ride. On your saddle check the rigging for wear and tear, your latigo or billets. Check the fenders and fender straps. If you use a breast collar make sure it is in good shape as well as your cinch. Repair or replace any worn items. The trail is not the place to find out your tack is in bad repair. You could just saddle up and ride but it might be a good idea to check your horse or mule out with some ground work beforehand. Cover the basics: lowering their head, moving the front around the back and the back around the front, side pass right and left. 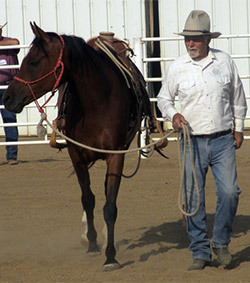 See how lightly you can cue your horse to get the desired results. On your first ride start out at a walk and see what kind of control you have. Turn to the right. Turn to the left. Back and stop. Make sure you cover the basics and see where you need to focus your attention. Start out slow. If your horse or mule has been ridden very little or not at all over the winter start off with 1-2 hour rides. 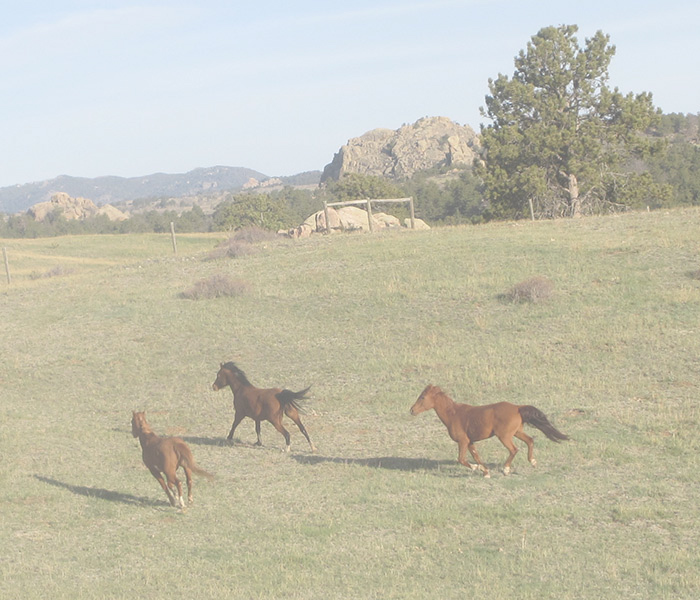 Ease them back onto the trail with mostly walking and a little trotting. These first few rides should be all about assessing how you and your horse are communicating and where you might need to focus on your training. On your first few rides if you get a feeling that you should get off for some reason, get off. When we get nervous our horses feel that and instantly want to know what’s up. If you are nervous your horse can become nervous. If your horse gets fidgety or moving in an unfamiliar way, get off and walk until he settles down. We have to re-establish a dialogue with our horse and there is no point pushing a bad situation. So as you head back out on the trail make sure you have the basics covered, start slowly and have a great riding season!